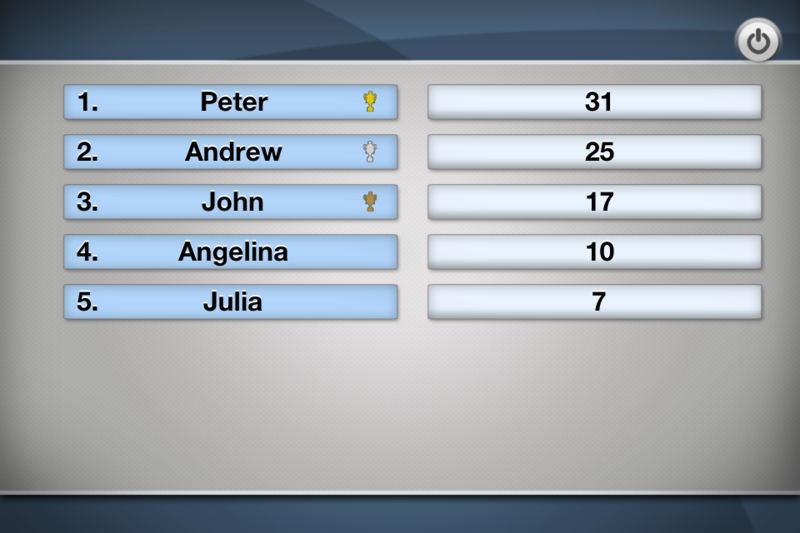 Compete against your friends in this thrilling quiz game one on one or go for a ranking in the high scores! 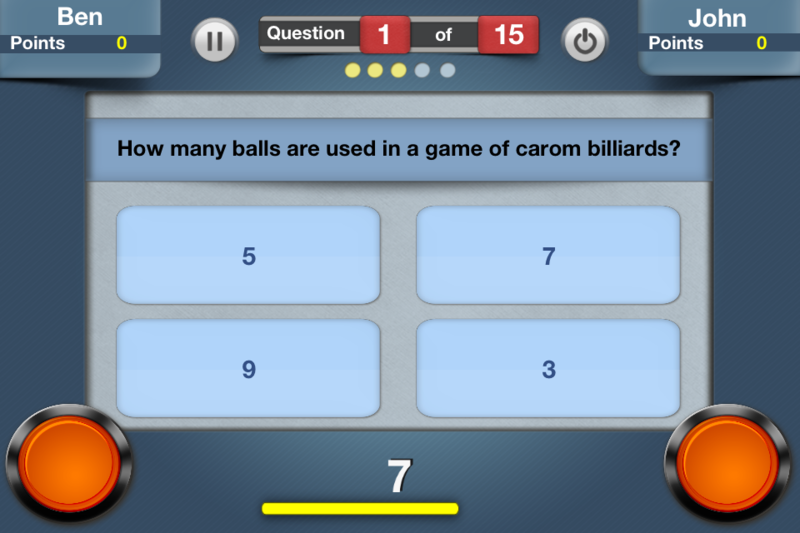 More than 5.000 questions and various modes promise hours of gaming fun! 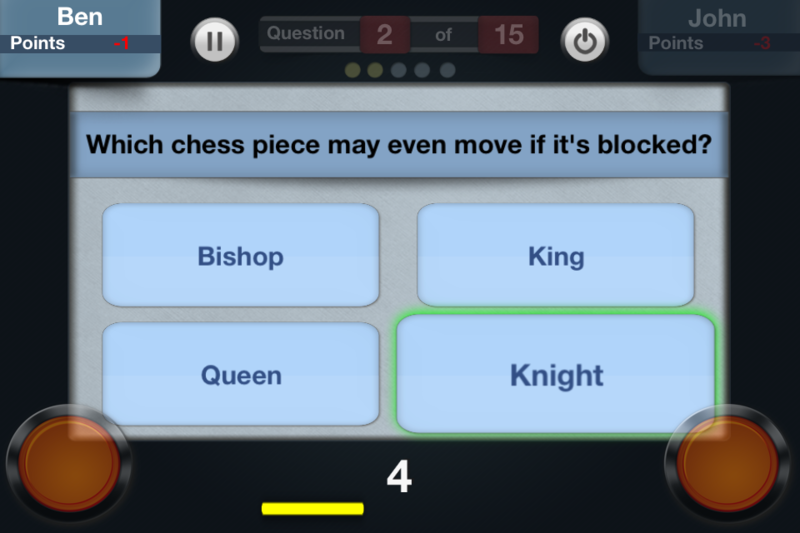 - Classic Mode: Comparable to "Who Wants To Be A Millionaire", you get four possible answers per question. If you tap the correct one, you score! 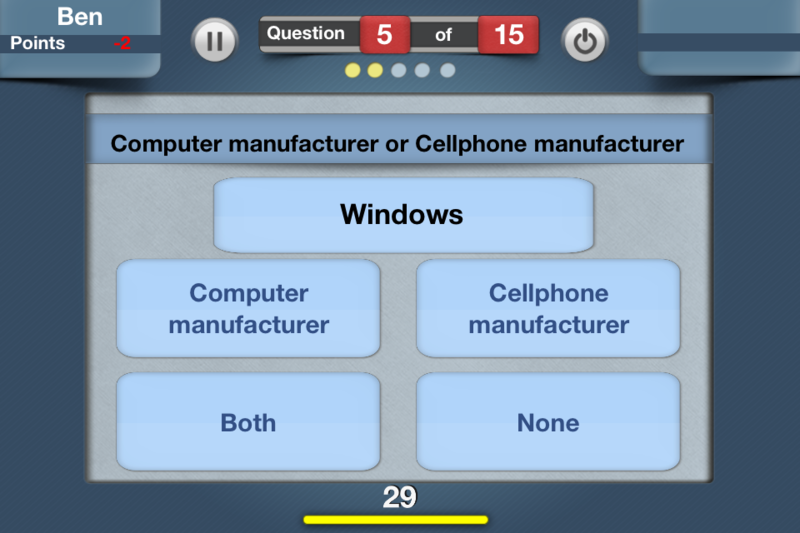 - "Multiple": You get a category, e.g. "Countries in Europe" and are then shown different possible answers like "France". Now you have to quickly tap the words belonging to that category. - "One or None": You get a question like "Cheese or European town?". Again, you are shown different answers like "London". Now you have to tap either "Cheese", "European town", "None" or "Both". Every question comes with a time-limit, so you have to be quick. In one-on-one, the player who presses their buzzer first and answers correctly wins. 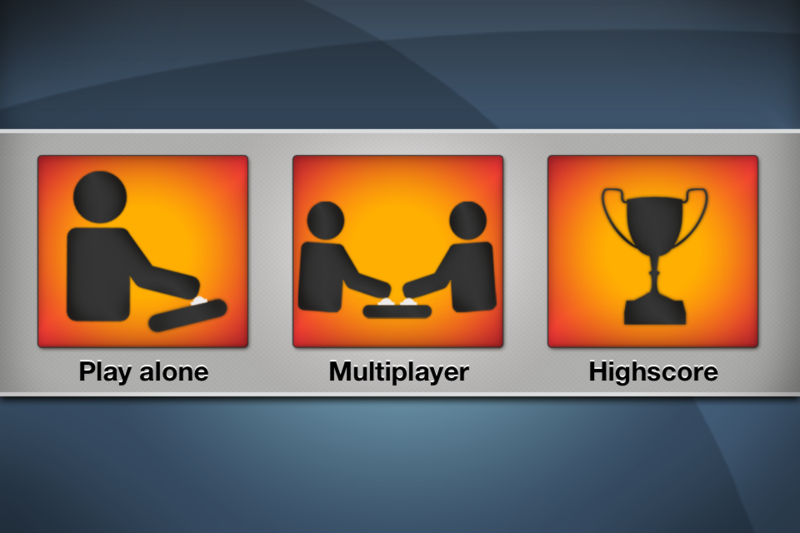 A high-score shows you how good you played each round.